Eight countries - Australia, Canada, Japan, Morocco, New Zealand, Singapore, South Korea and the United States – signed ACTA on 1st October 2011. The European Union and 22 of its Member States signed on 26th January 2012. Five EU Member States- Cyprus, Estonia, Germany, Netherlands and Slovakia - have not yet signed the agreement. For the agreement to become legally binding on a party it must first be signed and then ratified by that party. Within the EU, the agreement must be separately ratified by the European Parliament, individual Member States and the EU Council- this has not yet happened. 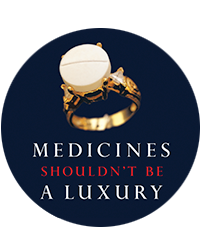 As a treatment provider, Médecins Sans Frontières (MSF) is deeply concerned about the impact of the enforcement agenda on the production and supply of affordable, legitimate medicines. We urge contracting States not to sign or ratify ACTA unless all concerns related to access to medicines are fully addressed. This updates a previous document from November 2010 entitled, "The Secret Treaty: Anti-counterfeiting trade agreement (ACTA) and its impact on access to medicines".